With all of this Valentines chocolate around, my brother-in-law pointed out a hidden talent I have had all my life and never even realized! 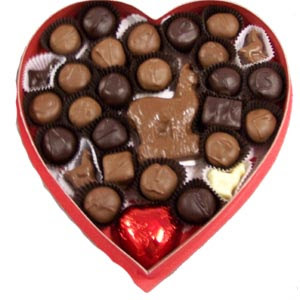 I can open a box of chocolates and know EXACTLY what is inside of them without cutting or biting any of them. This talent was developed from years and years of being a chronic chocoholic and finding all the chocolate that my mom would hide from me growing up. I seriously don't know how I am not 500 pounds!